Since 2012, several authors have written books about the Reverend Will Maxwell, a man suspected of killing his first wife, his second wife, his brother, his nephew, and his foster daughter for insurance money, which he then split with the lawyer who kept him out of jail. At the end of the funeral service for the foster daughter, the girl's uncle decided enough was enough and delivered vigilante justice by shooting the Reverend dead as he sat in a pew fanning himself with the memorial bulletin. The Reverend's lawyer then represented his assassin at the subsequent trial. He helped convince the jury to find the man not guilty by reason of temporary insanity. Shortly after the events occurred, Harper Lee visited Alex City to research the story as a potential follow-up to her famous novel To Kill a Mockingbird. She never completed the book, which was to be called The Reverend. Since she wasn't using it, I borrowed her title and published a novel based on the story in 2012 under the pseudonym Christamar Varicella. Parts of that book were well written, but overall, I wasn't happy with it, so in 2015 I started rewriting the book from scratch. Blood Cries is now almost complete and will published in May under the name Chris Hope. Why the two pseudonyms, you ask. I think maybe it's because I'm a Gemini. I was going to publish the new book under my real name, David Brasfield, but the name Chris Hope factors into the story and I think the pseudonym adds another dimension that helps tie the book together. 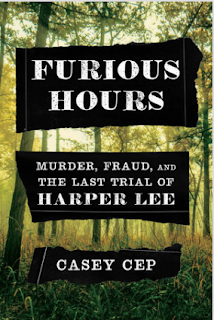 In the meantime, two nonfiction books have been written about the story. To Kill a Preacher by E Paul Jones is one I would recommend for anyone interested in an insider's perspective. E Paul (RIP) was a highly respected District Attorney who once interviewed the Reverend while working for an insurance case and who assisted in the prosecution of the man who shot him. In early May, around the same time my book comes out, a writer for the New Yorker named Casey Cep is publishing Furious Hours, a book focusing on Harper Lee and why she never published The Reverend. 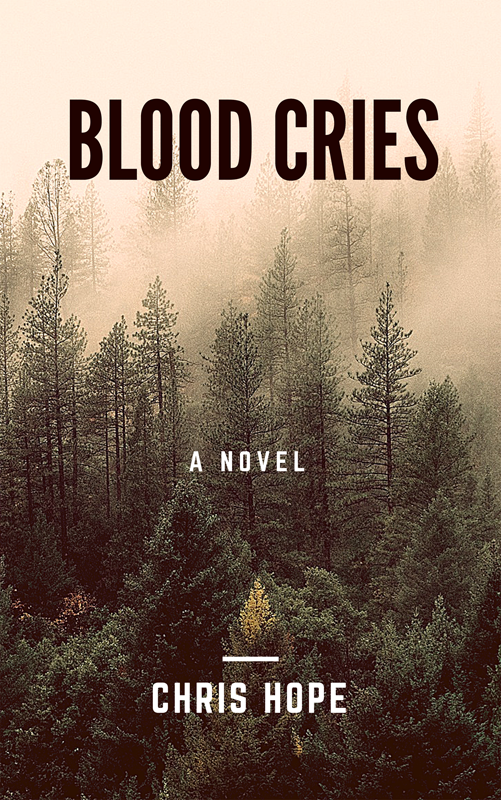 My new novel, Blood Cries, is about a young woman named Chrissy Hope who goes searching for a lost true crime manuscript written by her favorite author, the reclusive Louella Harper. Chrissy resorts to desperate measures to find that book, which (not coincidentally) is called The Reverend. Excerpts of Harper's book appear as chapters in Blood Cries. For a while there, I considered walking away from the book altogether. I felt like I was being exploitational, trying to cash in on the misfortunes of others. I eventually decided to alleviate my guilt by sharing the proceeds of the book with a charity serving the area where the true events took place, the appropriately named Feast of Sharing. I'll post occasional updates right up until publication of Blood Cries, which is slotted for May 6. The book will be available for pre orders in late April. Thanks for reading this post. If you have any questions, let me know in the comments. I'd be happy to answer them.